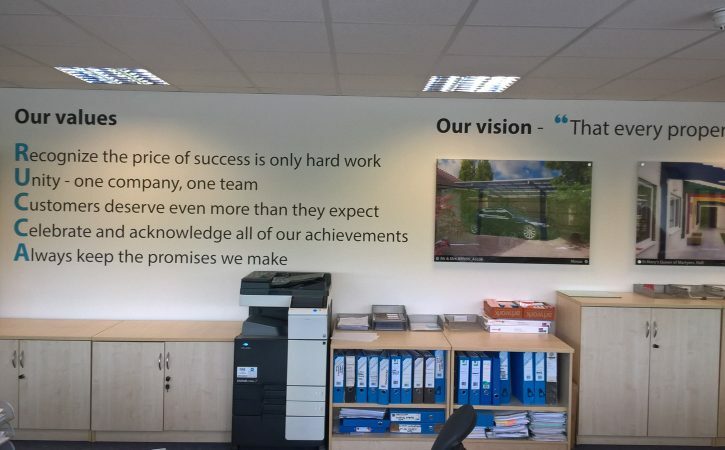 Digitally printed wall graphics to promote your brand & values within your company. 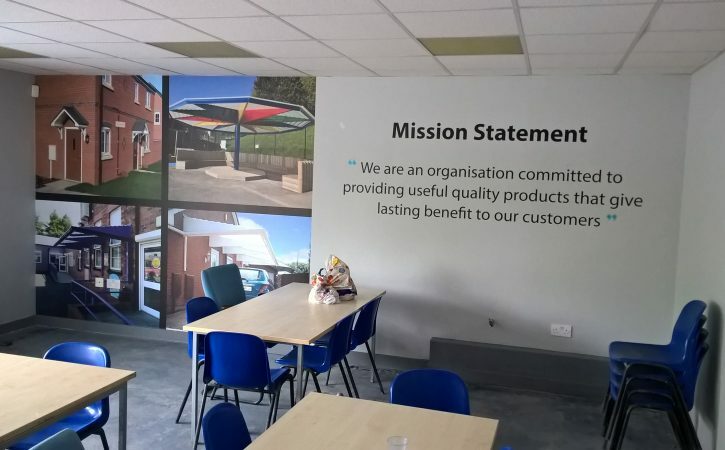 Canopies UK used internal wall graphics and wall art to promote their branding, values and mission statement to all their employees. Bare walls, stairwells and meeting rooms are a great usable space to promote your company vision and brand values. 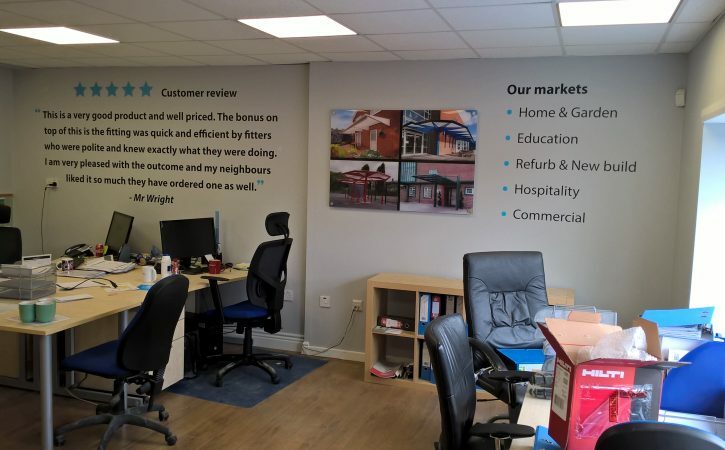 Here we used large digitally printed wall paper and wall graphics which were applied direct to the areas together with large acrylic frames which hold the promotional images and testimonials. 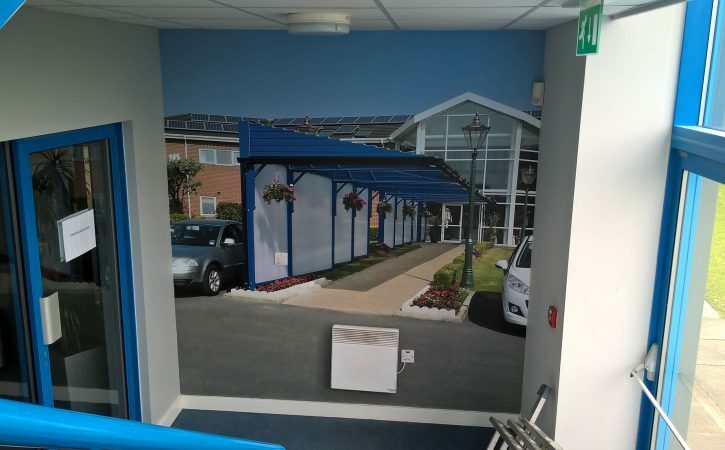 Digitally printed wall art and graphics are a great way to make use of empty spaces. 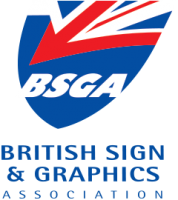 They’re so versatile they can be removed and updated very easily, allowing you to keep your marketing messages, office or store refreshed and up to date.